Walkers carry pouch by Medline is used to keep small items in the pouch when out. Fits most of the walkers but not Bariatic and Pediatric. 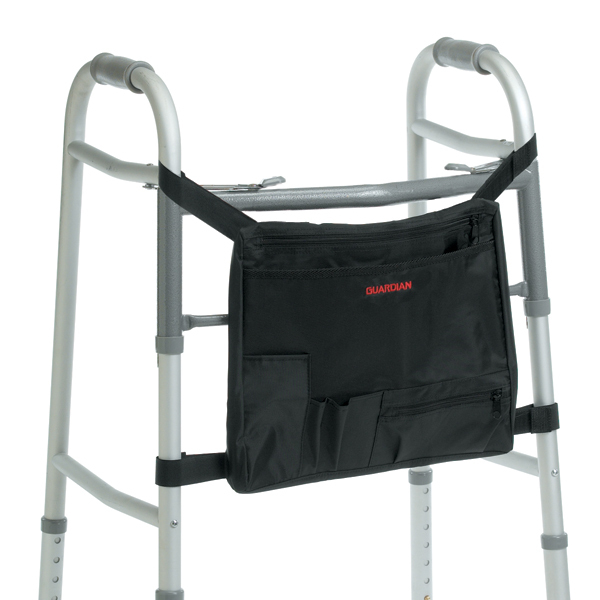 The pouch is made of nylon and is attached to the front of the walker. The fabris is easy to clean.